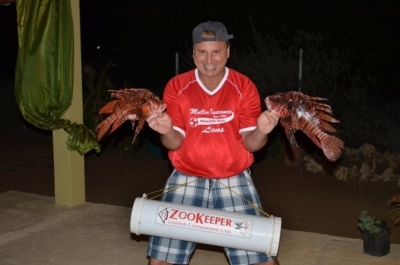 Recent Articles about Lionfish Hunting with Roger J. Muller, Jr.
What is it like to track lionfish and document their movements? Join Roger J. Muller Jr., PADI Digital Underwater Instructor to see. 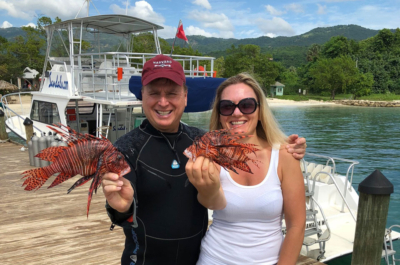 NEW: What’s the mystery disease ripping into Florida lionfish… and could it spread? 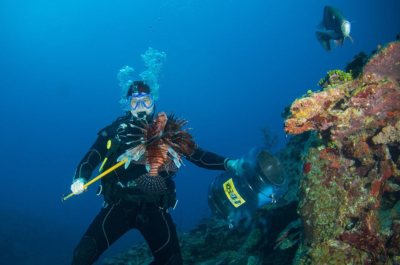 What are the characteristics of lionfish and other fishes that influence their association in diurnal refuges? 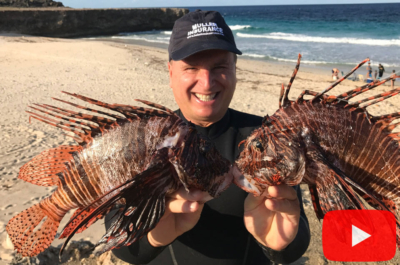 Lionfish War: Who is Winning?